Brett King, best selling Author of BANK 2.0, is a renowned public speaker, blogger, and advisor to some of the world’s biggest financial services organizations and leading brands. He is also the founder of a number of non-profit associations. A regular speaker at the top global conferences for financial services, King is an acknowledged expert on wealth management, customer experience and retail channel distribution strategy. He publishes regularly in his role as industry advisor on Huffington Post (Business News), Internet Evolution and his own personal blog here at http://www.Banking4Tomorrow.com. King also runs User Strategy, a boutique consultancy focused on improving customer interaction for leading financial services companies and businesses. King previously ran the Asia division of Modem Media and the E-Business service line for Deloitte. His clients include HSBC, Citigroup, UBS, Standard Chartered, Abu Dhabi Commercial Bank, EmiratesNBD, RBS, CSFB, BNP Paribas and many more. 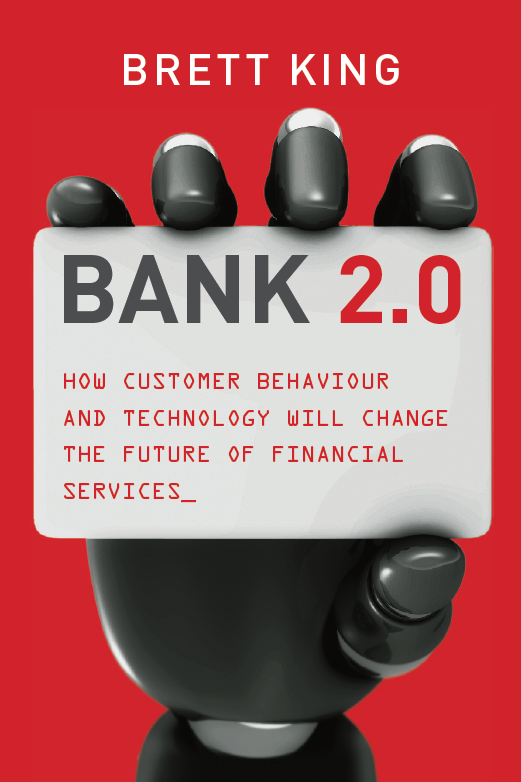 Order BANK 2.0 on Amazon UK , Amazon US or direct from the publisher Marshall Cavendish today! Hi Brett, what changes will your clients need to start looking at (specifically) when it comes to auditing and modifying their direct mail campaigns to meet standards for the Consumer Financial Protection Bureau?